Paul: Welcome, welcome to Games News. How many of you are there? Just the one, or you might be joined later? Very well, please follow me. Here, is this seat by the window acceptable? Excellent. Today’s specials include a particularly unusual video, a wide selection of Kickstarters, some very special special editions and a veal with nut roast. Ah, I see you’re interested in the Space Cadets buffet, a smorgasbord of space chaos. Let me recommend you an excellent wine to go with that. Yes, Stronghold Games have decided that this year is the YEAR OF SPACE CADETS and I’m still trying to climb back onto my chair after being unseated by that strident blast of capitalisation. The YEAR OF SPACE CADETS will see us get a new Space Cadets game and two Space Cadets expansions to add to our Space Cadets collections. It looks like the series is proving very popular indeed and that’s something we’re glad to hear. 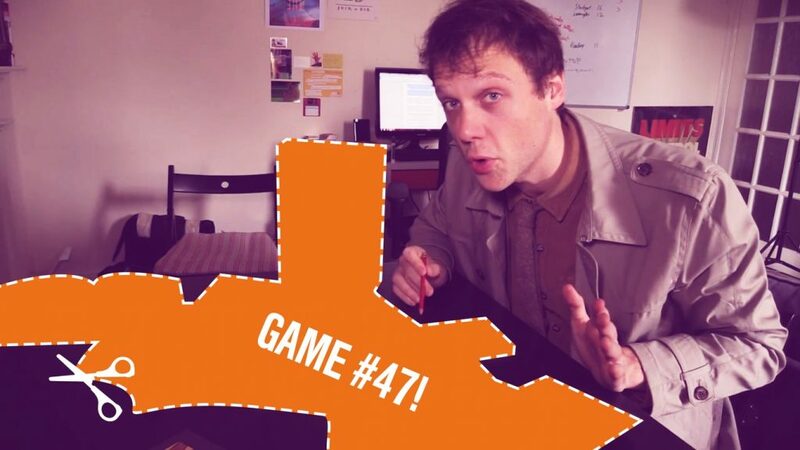 We really enjoyed both the original Space Cadets (which we have a sweary Let’s Play of here) and Dice Duel (which we have a shouty review of here). 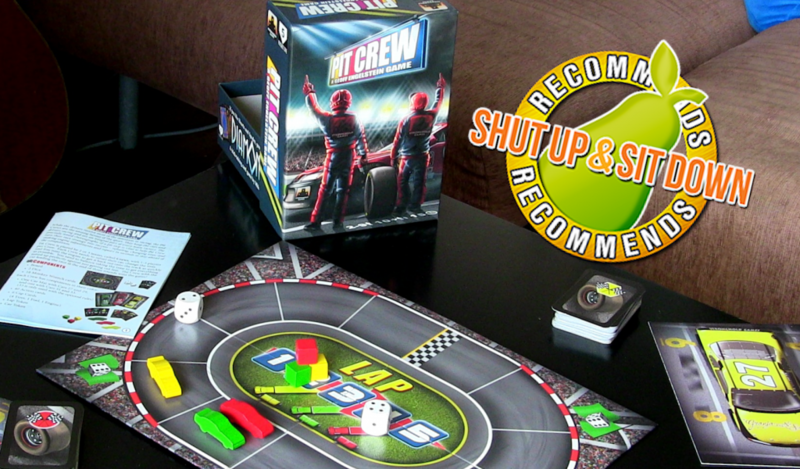 They’re exactly the sort of games you can show to your non-gaming friends to demonstrate that board gaming isn’t a stiff and staid parlour affair. 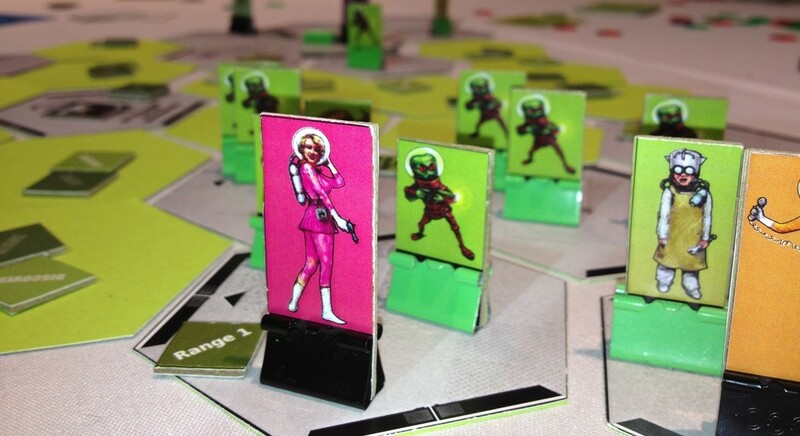 Set in the classic era of pulp sci-fi, the latest Space Cadets game is Away Missions (that’s an early version above). Like the other games in the series, it’s all about a) co-operation b) things just maybe going a little bit wrong. Between one and six fragile human players leave the safety (hah!) of their starships to tentatively explore alien environments, each playing the role of one member of the crew. Perhaps you’re the Captain (and not losing command) or a Doctor (and not an escalator). Your atomic rifle feels heavy in your hands. The Brain-in-a-Jar leers at you in that way that only a Brain-in-a-Jar can. Normal day at work. The first of the expansions is Die Fighter, an add-on for Dice Duel which will add a new class of ship to the game. The Fighter is light and maneuverable and it can fly alongside your starship in a team game, one player snuggling themselves into the pilot’s seat. If you’d prefer something more personal, Fighters can go it alone in two player dogfights. With the Fighters thrown in to the team game, Dice Duel becomes a game of up to TEN PEOPLE. Most of those players are rolling handfuls of dice at the same time, so we’re starting to get into Guinness record territory. It would be wise to reinforce your table. Then there’s Resistance Is Mostly Futile, an expansion for the original Space Cadets which adds new enemies, new missions, new hazards and new map tiles. It also features something called the Psycho-Acoustic Neural Interface Control button. The P.A.N.I.C. button (I’m sure that spelling is a coincidence) apparently “gives players new options if things aren’t going quite as expected.” This is probably unnecessary as everything in a game of Space Cadets tends to go very smoothly and space is an extremely safe place where nothing ever really gives you any trouble. Back on planet earth, Fantasy Flight have just announced Age of War and have shown (so soon after the announcement of Game of Thrones: Intrigue) that they’re the current minders of Mr. Knizia. 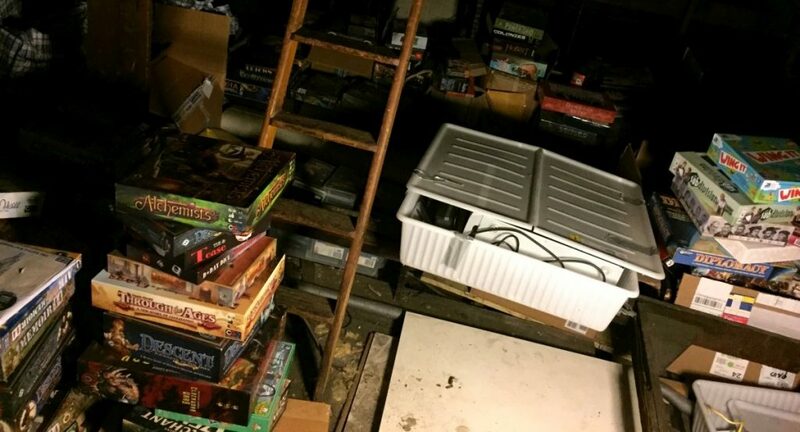 Almost certainly not chained to a radiator in a Minnesota basement, Knizia has developed a dice-rolling came of castle conquest which looks a little bit like Yahtzee with samurai. I’m not sure exactly how much strategy there is here, matching dice results to battle lines, but I’ll reserve judgment like the wise daimyo I am and concede that I’ve always liked dice that don’t just have numbers on them. You may well be aware that Quinns is not feeling too good right now and so we were hoping that the release of games like Hospital Rush and Acute Care might turn things around. 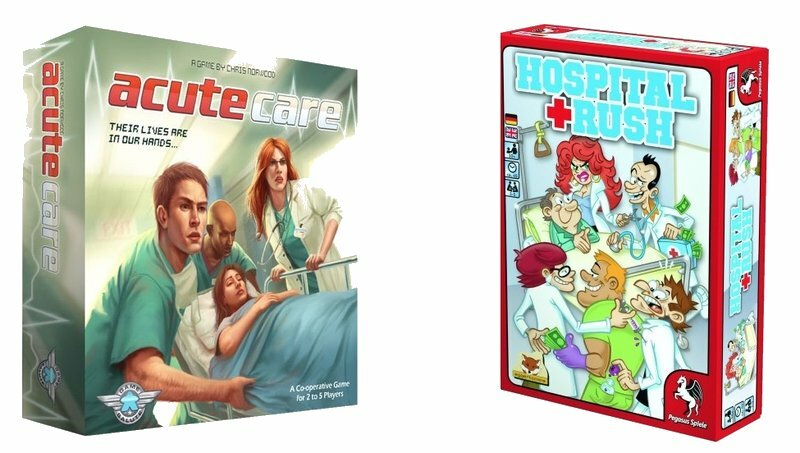 Sadly, it looks like the latter won’t be out until next year, so in the meantime we might have to call for more direct assistance from its designer, registered nurse Chris Norwood. Chris, if you’re out there, Quinns says his symptoms are “Malaise, painful graze, eyes glazed and mayonnaise.” I added some more gin to his glass. Hospital Rush is a game of being the best doctor by being nice and professional and only occasionally breaking the rules. Although I told Pegasus Spiel’s site that I wanted to read pages written in English, it gave me a German game description which Google translated thus: “Man falls to each other in the back and hits himself over the ear, while at the same time trying to provide the best possible patient quirky.” Acute Care’s description is a little clearer and in this two to five player co-operative game is all about nurses managing their time as best they can in a busy surgical unit, while complication after complication arises. Over in the land of Kickstarter, several of us have heard the blaring of a very familiar horn. 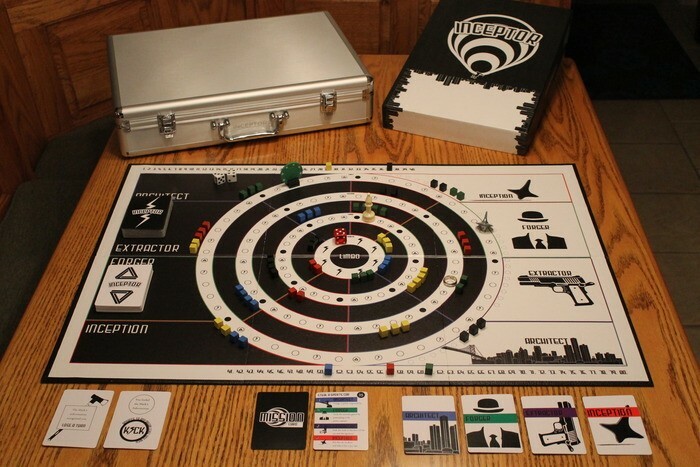 Inceptor is a board game about infiltrating someone’s dreams and planting ideas whilst being careful to keep your own grip on reality. It looks to be taking a lot of inspiration from a famous film about unreality (what was it again? Abre los Ojos? eXistenZ?) but it’s not an official tie-in and, as the Kickstarter states, “Although the game is not licensed by Warner Brothers, their response to us indicated that they had no objections to us creating the game.” So it should be safe from any legal interference, I guess? Also on Kickstarter are two campaigns for special, super-shiny re-releases of two very popular games, both of which have been showered with funding over the last couple of weeks. One is the special edition of the charming Tokaido, which will come with detailed figurines, a soundtrack CD, the Crossroads expansion in the box and something I’m starting to get a tiny fetish for: metal coins. 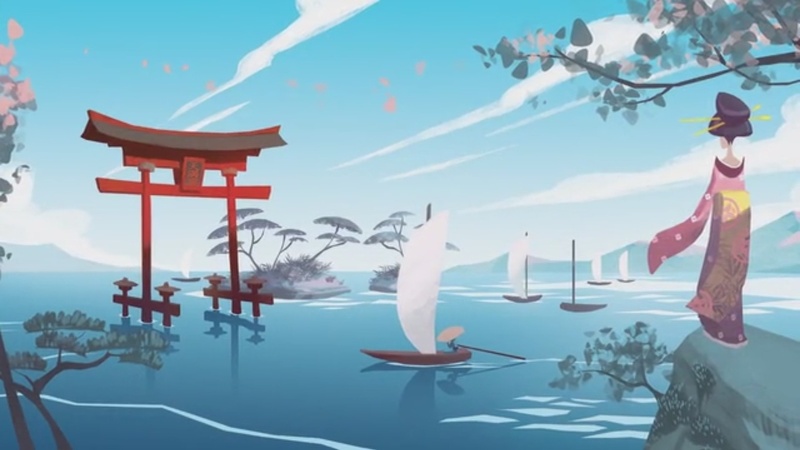 Tokaido was already a remarkably lush and terribly good-looking game and so this is icing on a lovely cake, but the success of the campaign sends a clear message about how much people want this. 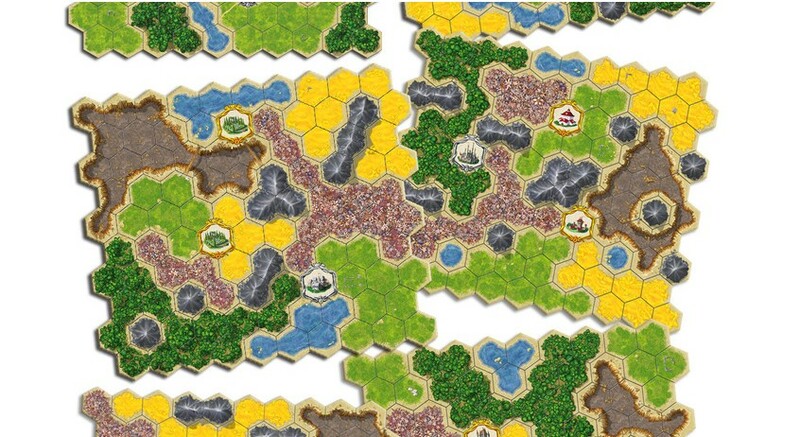 The other campaign pushing a special edition is for Kingdom Builder. This also features an expansion called Crossroads, as well as the Nomads expansion, two mini expansions and cute new playing pieces for each player. Quinns loves Kingdom Builder and you might also remember me saying that I quite like it and then forever being hassled about that. I think it’s quite good! You can have quite a nice time with it! Stop harassing me! A collage of war film footage, of strangely distorted pictures of players and, only sometimes, scenes of people actually playing Guy Debord’s Le Jeu de la Guerre, this video is a sort of pseudoludic manifesto about how a game is a metaphor for life, or a complex system that reflects our society and values, or is a lesson in how to live. 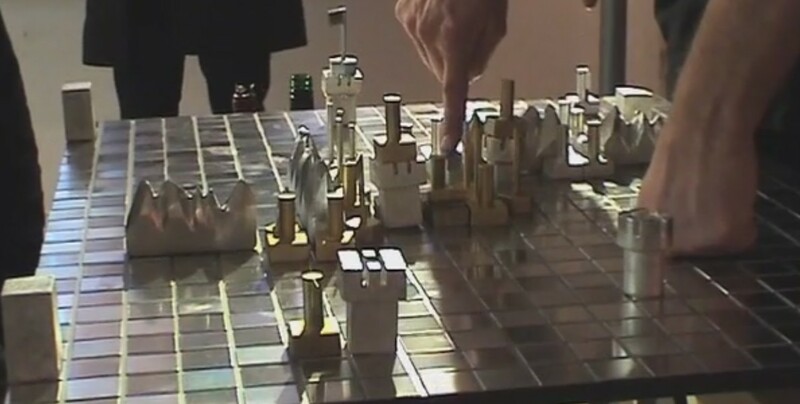 It features lines like “In The Game of War, the two opponents can be considered as contesting interpretations of the topology of physical space under spectacular capitalism, each of whose coherence is to be tested by the other in real time,” though I’m not sure that “The Game of War plays at bourgeois warfare to discover the game of proletarian love.” It entirely lost me at “The tabletop becomes an erogenous zone,” and then I had to call up my counselor because I was having Those Thoughts again. All that makes me feel like I’m back at university again, so I’m off to dig out an old essay I did on Foucault. Please send your good wishes to Quinns, who has been working so hard lately. We’re just a small team of people, a lot of time and energy goes into this site and we’re still finding our feet and flexing our wings. Quinns’ efforts behind the scenes have been a big part of this and the moment he’s ill we all feel it. Hug him and, if you can, spare a thought for my poor, long-suffering mother, who is seventy-one years old and also under the weather after a knee replacement. Never forget to thank those who have made your life better. Why not play a nice game with them, too?